Lettering, Pedro J. Lemos, catalog no. 120, published by School Arts, Worcester, Mass. Lee and Shepard catalog, books, Boston, Mass. The Home library edition of the classic literature library is described for potential buyers. Women and children are part of the targeted audience. 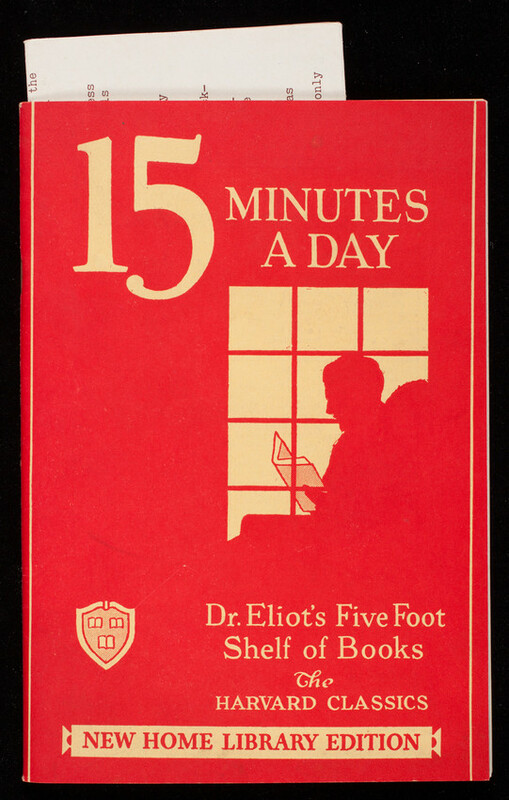 A separate brochure titled "Dr. Eliot's five foot shelf of books" has testimonials with one from the Byrd Antarctic Expedition. A separate order form and envelope are included.